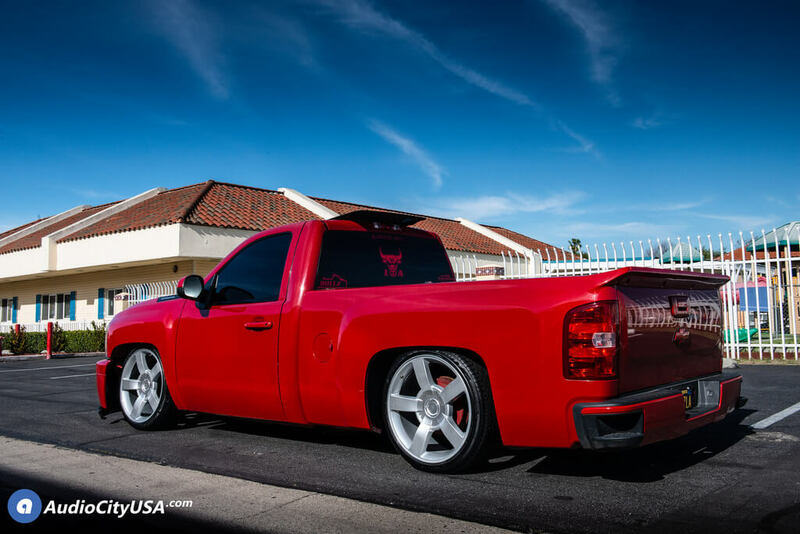 lowered 6″ Front and 10″ Rear (tubbed). AudioCityUSA is leading the industry in OEM Replica Wheels and Factory Reproductions wheels for BMW, Cadillac, Chevrolet, Corvette, Chrysler, Dodge, Ford, Jeep, and many others. 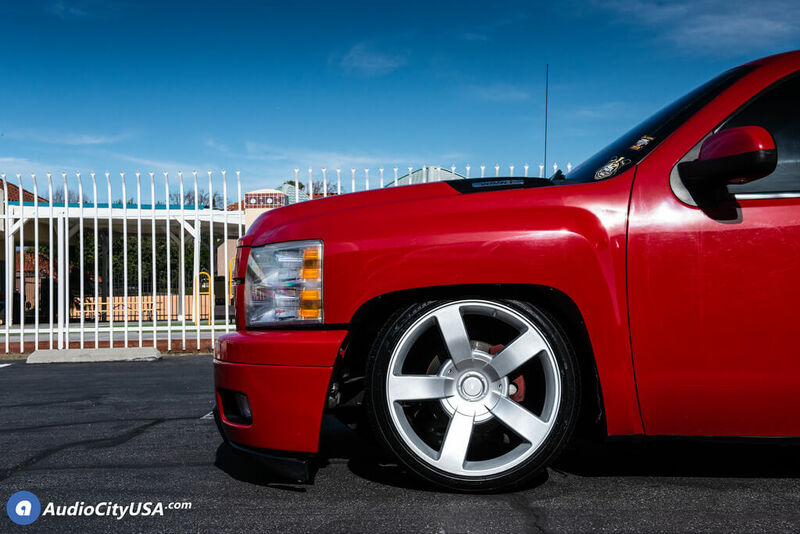 Our OEM replica product lineup, from companies like Factory Reproductions, include 18″ to 26″ diameter wheels for passenger car, truck, and sport utility vehicles. OEM replica wheels and Factory Reproduction wheels are offered in many different finishes to suit your custom needs. 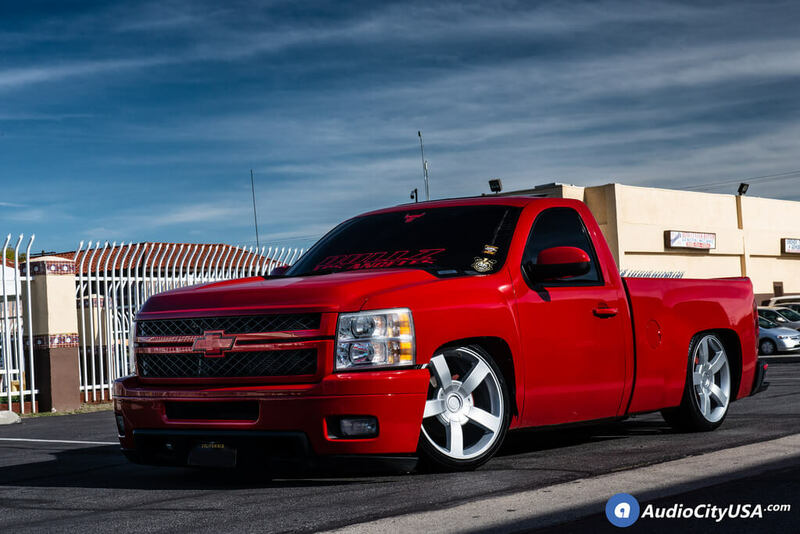 Audiocityusa offers the best prices in OEM replica rims and are guaranteed to be a perfect fit for your vehicle. 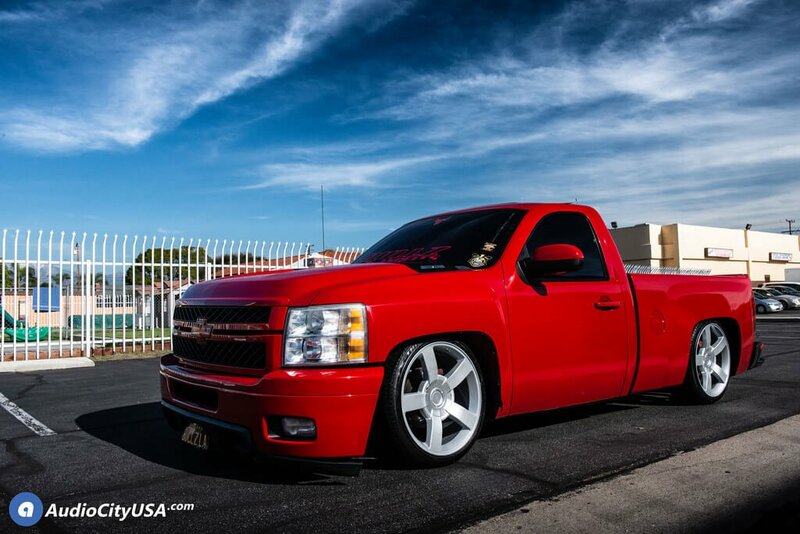 AudioCityUSA offers complete suspension, lifting and Lowering, rim, and tire packages. We can do same day installation and offer easy no credit check financing. 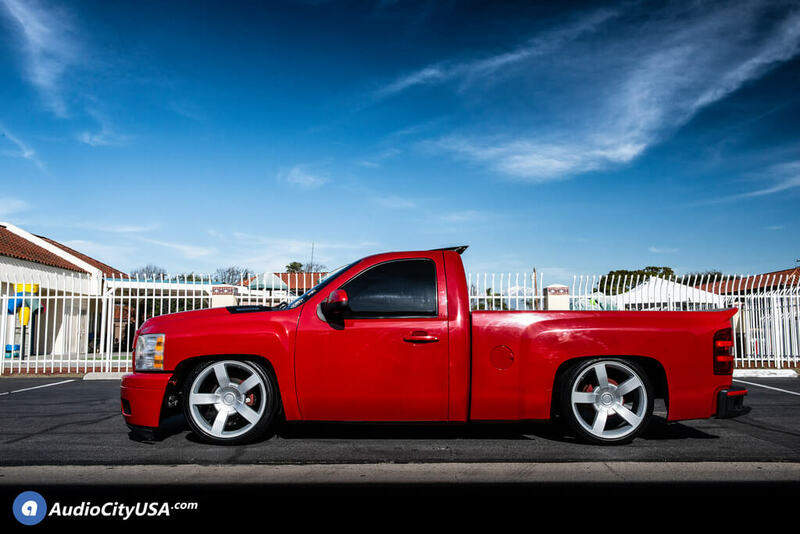 This entry was posted in Chevrolet, OEM Replica, Sport, Truck and tagged 22 inch Wheels, audiocityusa, Chevrolet rims, Chevrolet silverado, Chevrolet Wheels, chevy, Chevy rims, Chevy Wheels, Custom Wheels, Lexani Tires, Lift kit, Lowering kit, LX-Thirty, no credit needed, OEM, OEM replica, OEM Wheels, ReplicaWheels, Silver Wheels, silverado, Silverado1500, SSReplica, suspension, tubbed drop kit by sadmin. Bookmark the permalink.